AppCommunity is a social component for your apps that integrates with the BuddyPress plugin. To learn more about the features please read this post. There is a video available showing the setup and features of AppCommunity here. Install and activate the BuddyPress plugin (Plugins => Add New => Search for BuddyPress). Install and activate the AppCommunity extension. Visit your app customizer, go to Custom Pages => Community and choose a component. Add the new page to your app menu. This feature does not have 100% of the BuddyPress features, and does not support custom plugins or code customizations on your site. Make sure you have a WordPress URL set under Login Settings. 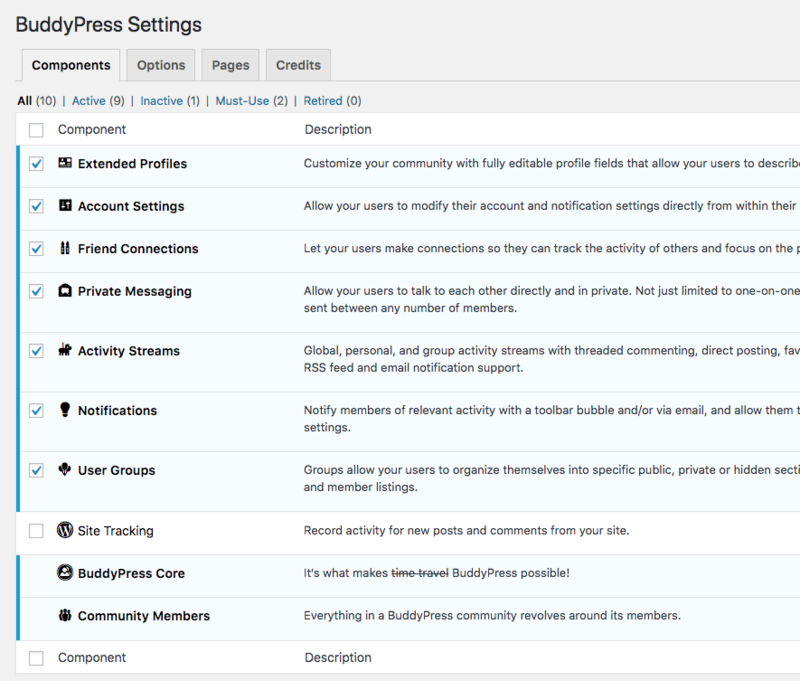 You must have all BuddyPress components active to see them in the app. 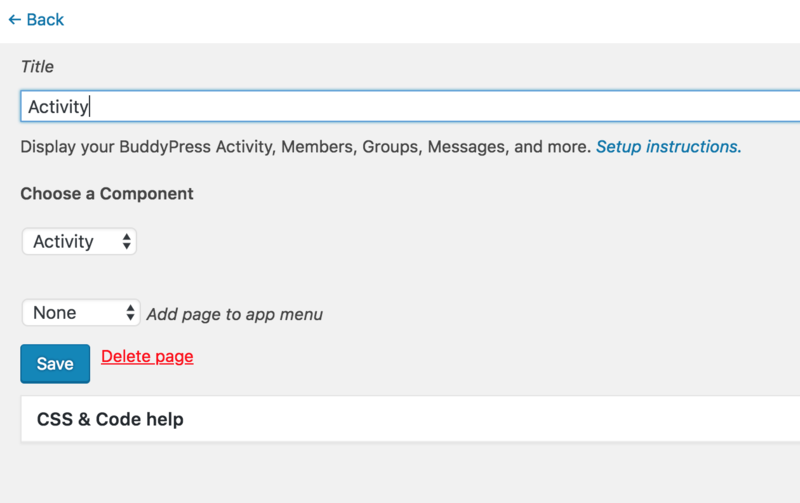 Visit Settings => BuddyPress to activate a component. To add a BuddyPress page to your app, visit your app customizer. Go to Custom Pages, select AppCommunity, then choose component and title. Add the page to your menu and refresh your app to see it in the preview. AppCommunity is 100% API based, so if you want to make customizations you can do so with a plugin on your WordPress site that changes the API responses. There are a variety of filters and action hooks available, please see this doc for more information. All API requests use a secret key to hash a token that is used to validate the request. There is an AppPresser setting for the secret key, you do not need to do anything with this unless there is a problem. Changing this key will void all API requests and cause problems in your app, you should only change it if you believe there has been a security breach. Apple may require you to add a way to block members. You can do so with this plugin. Be sure to mention to the reviewers that they can block a member by visiting a member profile, clicking "view full profile" and then click "block." How is this different from AppBuddy? AppBuddy is our first BuddyPress integration, and it displays your site in iFrames with our app theme. Community uses an API, which means it does not use iFrames. AppBuddy is slower but can be customized quite a bit, while Community is much faster and cleaner but cannot be customized as easily. There is a trade-off to get a better app experience that we believe is well worth it. We know that some people need all their customizations in the app, in which case they would need to continue to use AppBuddy.